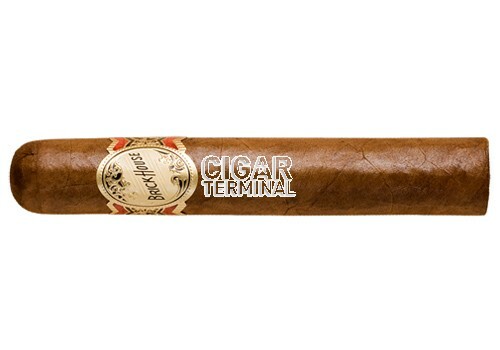 A premium Nicaraguan puro that's medium to full bodied, Brick House cigars sport a gorgeous reddish brown Habano wrapper, containing a robusto blend on Nicaraguan long filler leaves delivering a smooth and rich smoke with earthy notes of coffee and pepper with a slightly sweet finish. Brick House Robusto cigars have received a 92 rating by Cigar Aficionado. 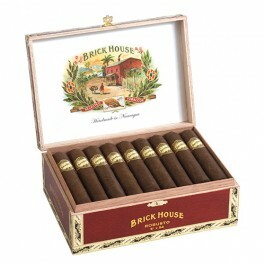 A premium Nicaraguan puro that's medium to full bodied, Brick House cigars sport a gorgeous reddish brown Habano wrapper, containing a robusto blend on Nicaraguan long filler leaves delivering a smooth and rich smoke with earthy notes of coffee and pepper with a slightly sweet finish. These flavorful premiums are handmade in Nicaragua.